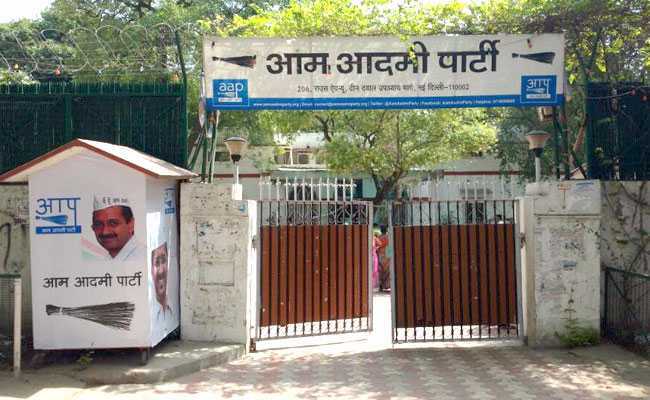 20 lawmakers of the Aam Aadmi Party face disqualification after the Election Commission told the President that they had violated the constitutional provision that bars a lawmaker from holding any post in the government that is capable of yielding a profit. With the Aam Aadmi Party staring at the disqualification of 20 of its lawmakers under the office of profit provision, the Congress and BJP promptly mounted stinging attacks on the Delhi government and asked Chief Minister Arvind Kejriwal to quit too. Chief Minister Kejriwal will be firmly in the seat even after losing 30 per cent of his lawmakers when the presidential approval to the Election Commission's recommendation comes in. So the opposition strategy in Delhi is to underscore the office of profit clause to dent the credibility of the national capital's ruling party. "Arvind Kejriwal has no right to continue", Ajay Maken, the Delhi Congress president who was also among the first to campaign against AAP lawmakers, accusing them of violating the constitutional provision. "Half of his cabinet ministers were removed on corruption charges. Now, 20 MLAs who were enjoying ministerial perks would be disqualified," Mr Maken said. 20 lawmakers of the Aam Aadmi Party face disqualification after the Election Commission told the President that they had violated the constitutional provision that bars a lawmaker from holding any post in the government that is capable of yielding a profit. In principle, the office of profit provision seeks to ensure that legislators are not influenced by the executive and it does not matter if they profited from the office. An entitlement to get a salary or perks is enough for disqualification. "What more proof is needed about corruption charges against the AAP government," the Delhi Congress president said, linking the Election Commission's recommendation to disqualify 20 lawmakers to questions on probity in public life. At the BJP's national headquarters a few kilometres away, a similar argument was presented by the BJP that fielded Sambit Patra. "15 AAP MLAs of have cases against them. Few are on bail and some of the MLAs are in jail. Shouldn't Mr Arvind Kejriwal resign?" Mr Patra said, counting AAP among the country's most corrupt parties and its leader Arvind Kejriwal, an autocrat. The Congress suggested that its campaign against the AAP government wasn't a one-off and the party would ramp up pressure. "On Monday, we shall march to Players' building, as the secretariat is called, to demand Mr Kejriwal's resignation," Mr Maken said. Incidentally, Mr Maken's first break as a Delhi legislator was when he was appointed as parliamentary secretary to then Chief Minister Sheila Dikshit in 1998, a post he held for three years before being upgraded as the capital's transport minister.